USB Mini LED Christmas Tree: Tiny tinsel tree powered by USB. Deck your desk with boughs of holly! Celebrate the yuletide in USB style and plant a mini artificial tree in your office, dorm, or home. The tree sets up in seconds, since the one-piece electronic evergreen is pre-lit with ten LEDs with removable colored caps, weighs practically nothing, and is powered by just a USB cord. Plug into the Christmas spirit by plugging in a USB Mini LED Christmas Tree. Not everyone has the space for a 15-foot douglas fir in their office. 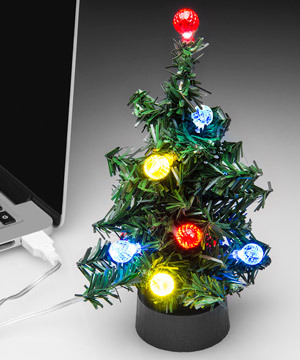 But if there's room in your heart for Christmas, then you'll find room for the USB Mini LED Christmas Tree. Pre-lit and powered by a USB cable, the decked out tree is ready to deck out your desk for the holidays. 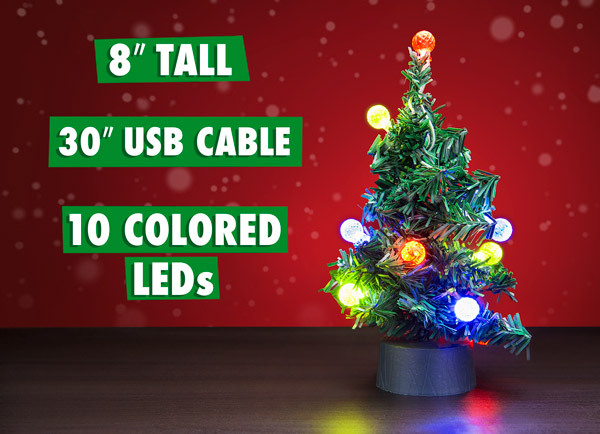 The USB Mini LED Christmas Tree stands nearly 3/4 of a foot tall and is adorned with ten colored LEDs. Each light's colorful cap can be removed if you prefer the simple elegance of white light. 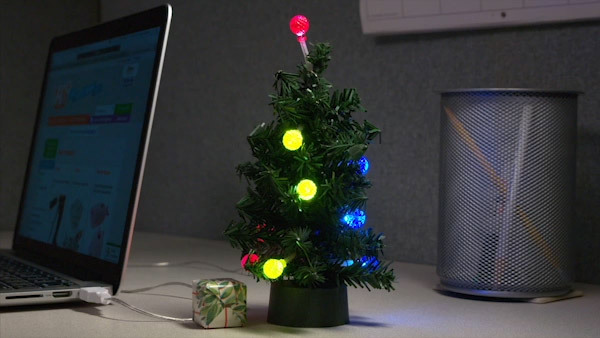 The eensy-weensy evergreen's holiday glow is powered by a thirty-inch USB type A cable. It’s the Tiny Tim of Christmas trees. 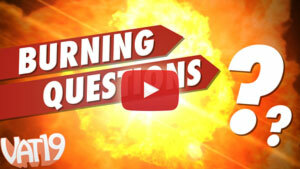 Answer: The USB cable is 30" long. Question: What if I don't buy one?